Go on a fun, flavorful tour through the world of craft brews with one of the most unique and fascinating voices in beer today. It's a great time to be a beer drinker, but also the most confusing, thanks to the dizzying array of available draft beers. Expert Joshua Bernstein comes to the rescue with The Complete Beer Course, demystifying the sudsy stuff and breaking down the elements that make a beer's flavor spin into distinctively different and delicious directions. Structured around a series of easy-to-follow classes, his course hops from lagers and pilsners to hazy wheat beers, Belgian-style abbey and Trappist ales, aromatic pale ales and bitter IPAs, roasty stouts, barrel-aged brews, belly-warming barley wines, and mouth-puckering sour ales. There is even a class on international beer styles and another on pairing beer with food and starting your own beer cellar. Through suggested, targeted tastings, you'll learn when to drink down-and when to dump those suds down a drain. 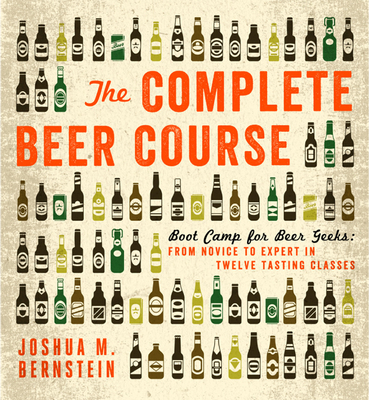 Joshua M. Bernstein's first book, Brewed Awakening, was published by Sterling Epicure in 2011. Josh is a beer journalist and critic who has written for New York, Time Out New York, Travel+Leisure.com, Forbes Traveler, New York Times, and Gourmet.com, where he was the beer columnist. He is a contributing writer to the drinks magazine Imbibe, where he writes feature articles on craft beer. As a beer expert, he's been featured on NPR's Marketplace and Beer Sessions Radio. He lives in Brooklyn, NY.